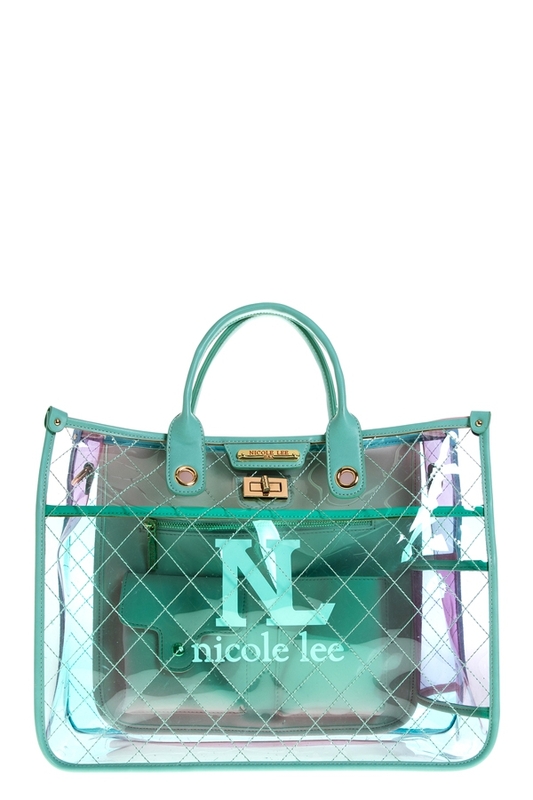 Make your style what you want with the cool Nicole Lee Daleyza Clear Shopper Bag. Exterior Features: Quilted clear style. Made of plastic. Twist lock closure. Dual top handles. Detachable shoulder strap. Gold-tone hardware. Structured silhouette. NL nameplate at front. Interior Features: Large compartment. Vegan leather organizer with metal zip pocket, flap top compartment with snap closure and open patch pocket. Extra clear pocket at front.